Say goodbye to hidden bank fees. Finally, banking with no unnecessary fees. 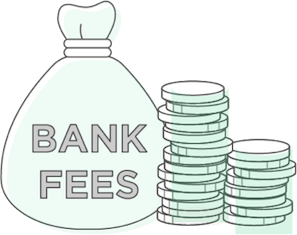 The average U.S. household pays over $329* in bank fees every year and most American’s haven’t switched to a checking account with no fees. We believe this needs to change. 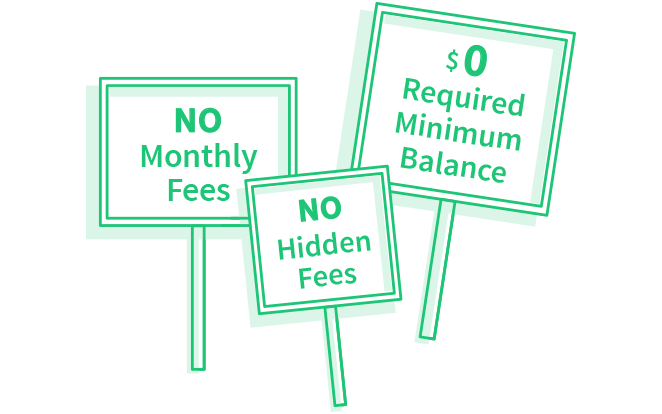 We promise to never take advantage of our member’s mistakes or misfortunes and that starts with building a bank account with no hidden fees and no monthly fees. 38,000 fee-free MoneyPass and Visa Plus Alliance ATMs and over 30,000+ cash back locations. A bank account shouldn't cost money. You deserve a bank account with no unnecessary fees because paying fees to use your own money is plain ridiculous. We’re here to change banking. And believe a no fee checking account should be available to everyone. That’s why Chime will never rely on unfair bank fees for profit. Ever. 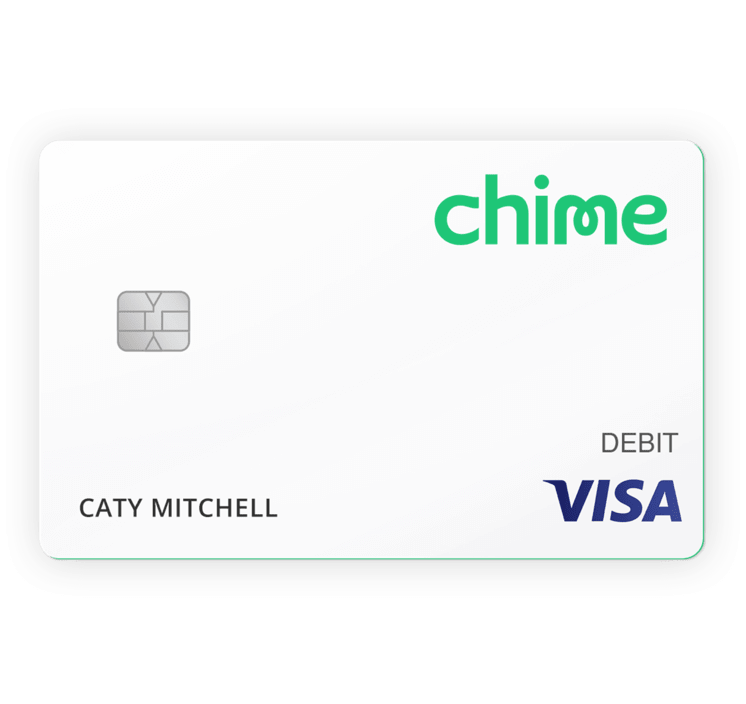 Chime Visa® Debit Card with no hidden fees. Say goodbye to debit card fees. When you open a Chime Spending Account you will receive a free Visa Debit Card can be used anywhere Visa debit cards are accepted. 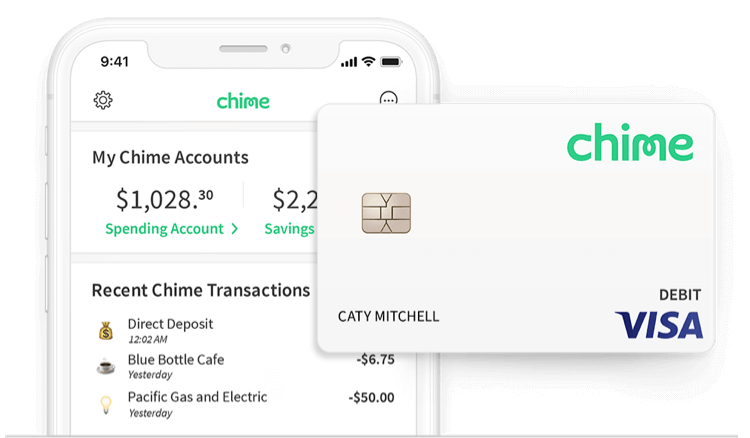 Chime’s Visa Debit card has no hidden fees. No minimum balance requirements. No monthly or service fees. We also provide free debit card replacement. * The Q1 2017 Bank Fee Finder Report represents data from over 5,000 individual users with U.S. bank accounts. Five major banks (Bank of America, CitiBank, JPMorgan Chase, Wells Fargo, and U.S. Bank) made up 83% of all Bank Fee Finder users’ accounts.